NIRENBERG, Marshall (1927-2010). Jewish, American biochemist and geneticist. Shared the Nobel Prize in 1968 for Physiology or Medicine for breaking the genetic code. He was awarded the National Medal of Science (1964) and the National Medal of Honor (1968) by President Lyndon B. Johnson. Book from his personal library. Methods in Cell Physiology. Academic Press, 1964, two volumes. Vol. 1 has 465 pages with some underlining by Nirenberg. Vol. 2 has 426 pages with some underlining by Nirenberg. 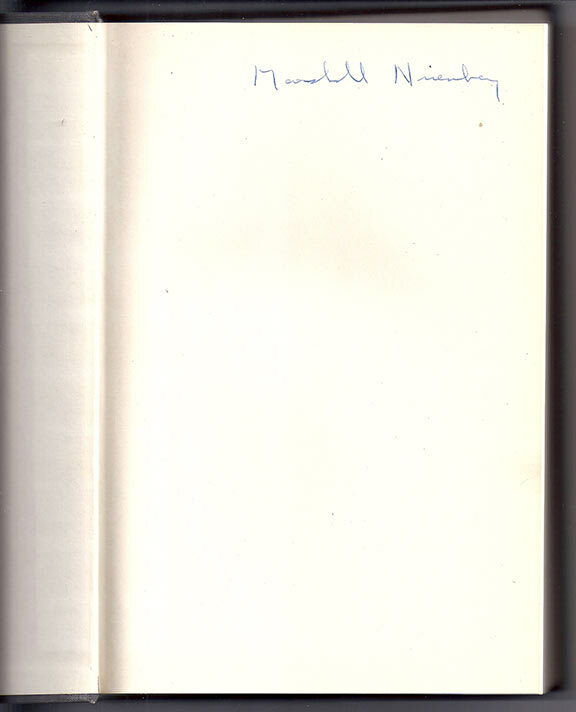 Signed “Marshall Nirenberg” on the front free endpaper of volume 1.